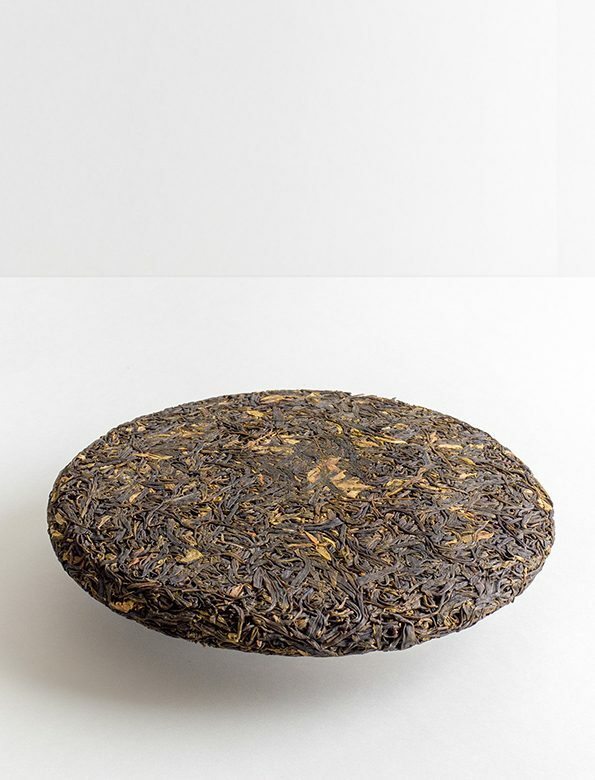 A unique tea from the Great Snowy Mountains (Da Xue Shan). 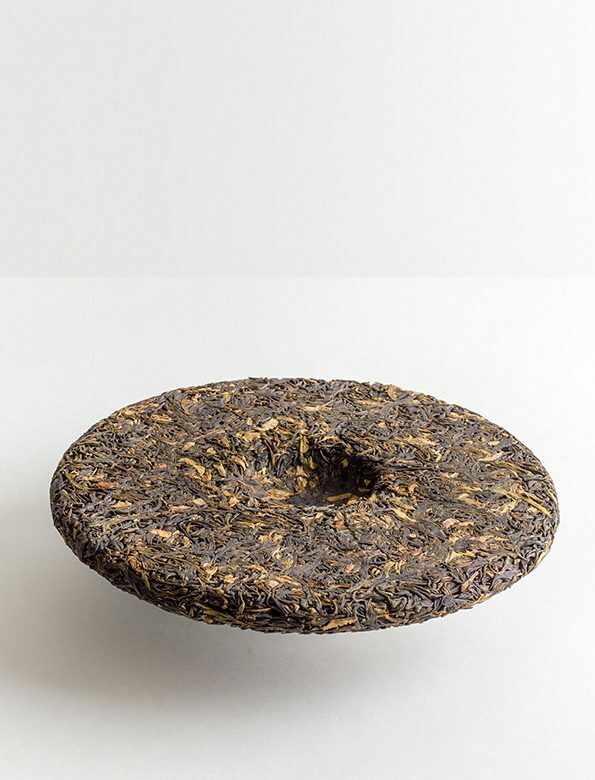 This sheng puer was plucked from wild-grown tea trees (野生, yesheng) that, along with the age of the tea trees (1000-1200 years) contributes to its elated character. Besides, these wild trees are of a special cultivar, which is called Camelia Dehongensis. This cultivar is famous for its purple buds, hence it is often referred to as ziya (紫芽, purple bud). 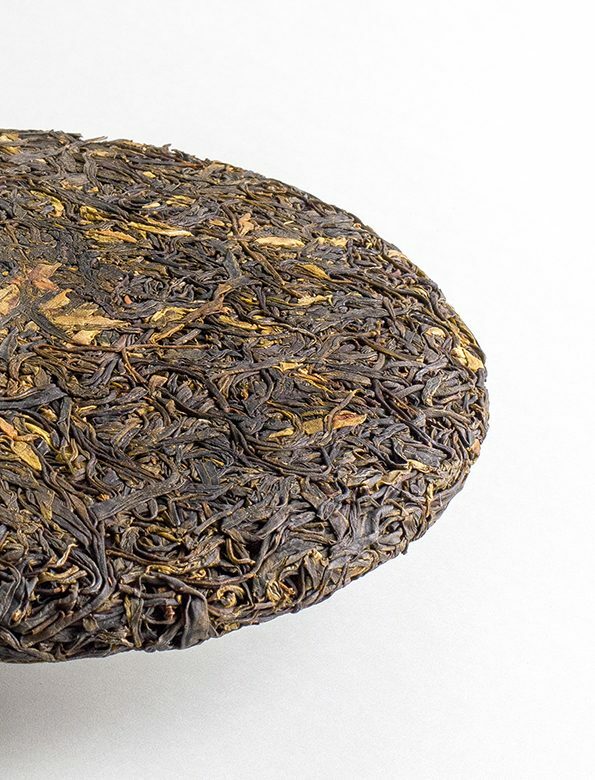 Its taste profile is dominated by a mild combination of sweet, sour and astringent, a characteristic of wild trees. The wilderness of the tea is nicely combined with the lightsome ambiance of a fresh, sweet green tea. 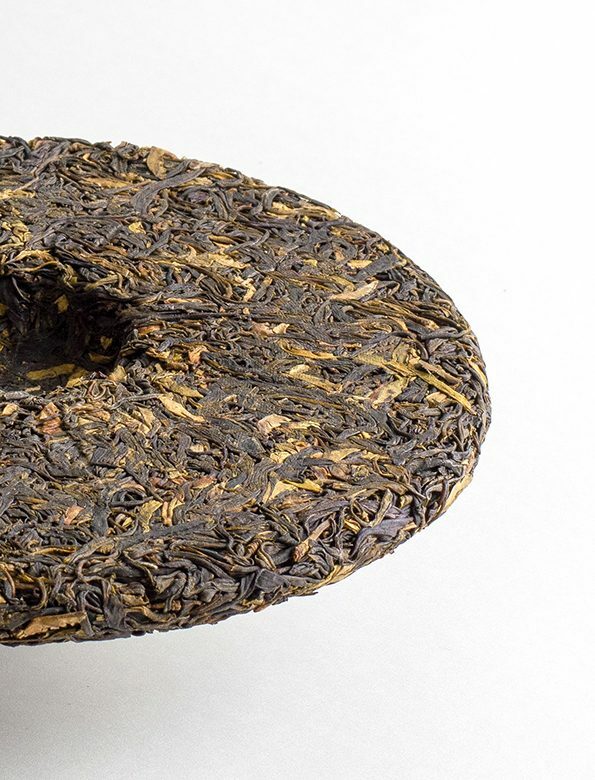 Teas that are coming from old trees (古树, gushu) tend to be more complex than those that are not. The age of the trees gives the tea an extra layer—we could either call it ‘the message of tea’, or ‘tea energy’ (茶气, chaqi). These teas can help to relax and vitalise in the same time; floating through the body, they help to calm down and focus on the inner self.